Obviously, the Expanded Petty Gods project is on the front burner... and in the oven... and there's plenty of stuff still in bowls and mixers on the counter... but I am trying to keep other things moving. 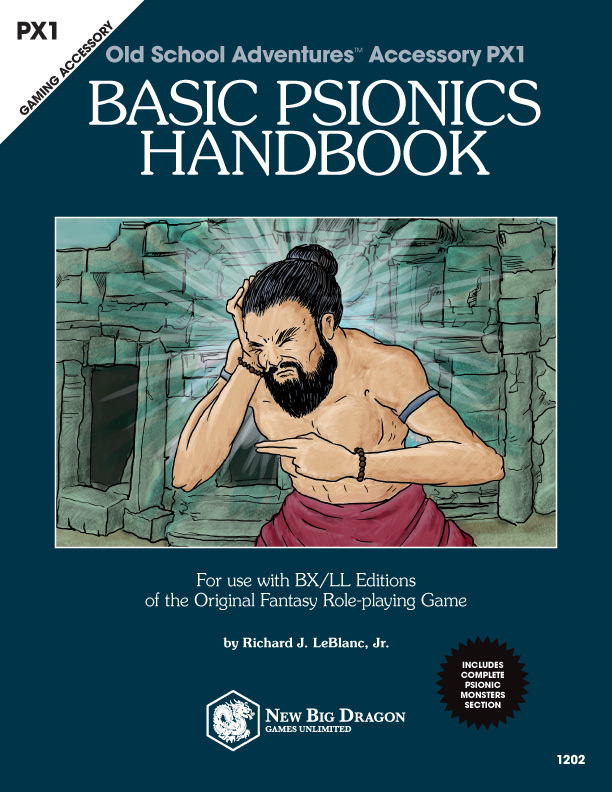 I just sent out what is officially version "Beta 3c" of the Basic Psionics Handbook to the readers/playtesters. I'm feeling REALLY good about where this is. The revisions have generally moved from the "sweeping" type (e.g., reworking the psionic combat methodology) to the "tweaking" type (e.g., the latest round refined a lot of the ability descriptions). Weekend schedule willing, I'm hoping to dig back into the Creature Compendium Saturday evening/Sunday day. There's not terribly much to be done here--especially when I compare the amount of work remaining on it to the work that I've put in on the EPG project over the last month, and how much more is yet to come. For the CC, the revisions consist mostly some consistency edits, a handful of clarifications, the addition of a tad more "flavor" to a handful of entries, and then a full round of proofreading. 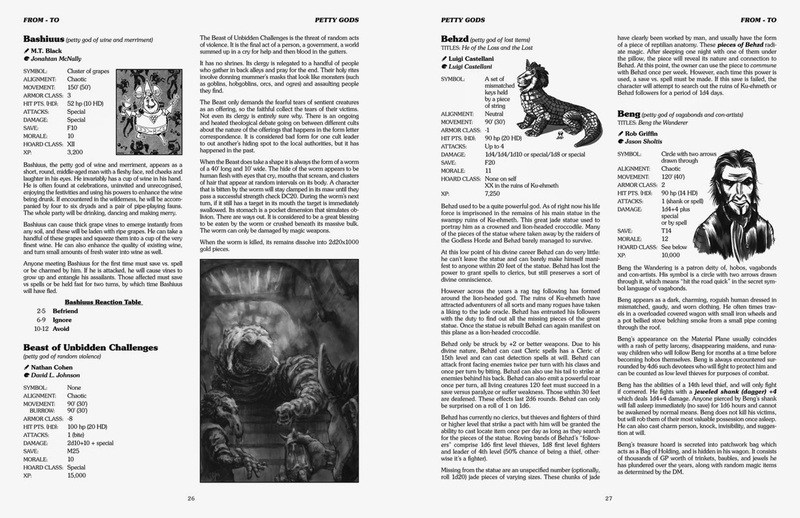 My goal, even with the Expanded Petty Gods project going on, was to release the Creature Compendium mid-December. Fingers crossed, that could still happen. Here is the complete list (as I have it) for the "Petty Gods" section of the petty gods book. This does not include minions. There will be a separate/similar post later for that. New/unwritten gods will not be accepted, except by express permission (or this book will never get done). Chaugnar Faugn Richard J. LeBlanc, Jr.
Elder Elemental Richard J. LeBlanc, Jr. Fallen One Richard J. LeBlanc, Jr.
Jaiden Richard J. LeBlanc, Jr.
Lady of Cauldrons Richard J. LeBlanc, Jr.
Morbiphallugus Richard J. LeBlanc, Jr.
Naught Richard J. LeBlanc, Jr.
Nyctalops Richard J. LeBlanc, Jr.
Saint Gunther Richard J. LeBlanc, Jr.
Vindico Vindicatum Richard J. LeBlanc, Jr.
Yellow King Richard J. LeBlanc, Jr.
Yyy Richard J. LeBlanc, Jr. I've decide as I continue to work my way through the Expanded Petty Gods productions I will start to post some production advice for all those self-publishers out there. Today's advice specifically relates to the use of RGB vs. Grayscale images. More specifically, in instances where the book will be eventually released as both a B&W interior print version, as well as a PDF copy. If you're going to have a B&W interior (including grayscale images), and you know your product will be release in a PDF version, then make sure your source photos are in Grayscale..
Technically, this is quite easy to accomplish. In Photoshop, you simply change the color mode from RGB to Grayscale by going IMAGE > MODE > GRAYSCALE (see image at left). Also, most scanner programs have a grayscale mode. PLEASE NOTE: In most cases, it's best to retouch/image adjust in RGB before converting to grayscale. 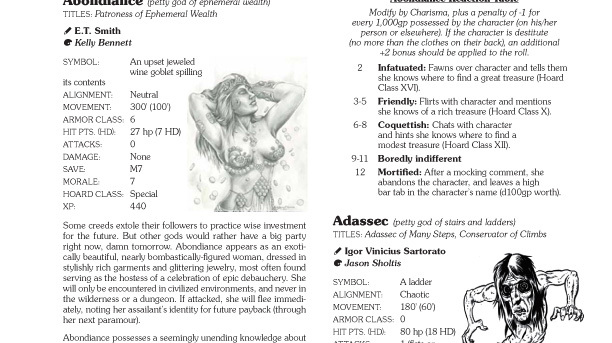 First, it actually makes for a more visually consistent (i.e., "professional looking") PDF. 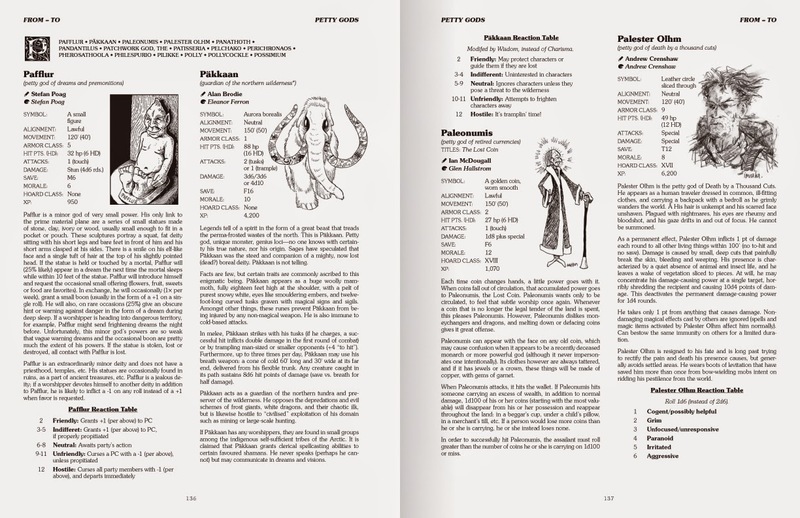 Check out the Digiskleros example from the Original Petty Gods PDF vs. the Expanded Petty Gods layout. In the first example, from OPG, notice the sort of "greenish" tone in the image? Now look at the 2nd example from EPG. Notice the consistency and richness of the black tones. Now, look a the 3rd image, where I take the greenish version from OPG and show it in the EPG layout. Original Petty Gods with RGB Abondiance. Expanded Petty Gods with grayscale Abondiance. Expanded Petty Gods with RGB Abondiance "pasted in." The reason they want images as RGB is because they are assuming the images themselves are in color, and if saved as CMYK, they would be tremendously larger. You'd think they would only be 25% larger, but a CMYK file size can often be more than 300% larger than it's RGB counterpart (it all has to do with file compression algorithms; or so the petty god of desktop production has told me). Because grayscale images have less digital information in them, they tend to be smaller than their RGB counterparts. This means a couple of things for you... 1) it's okay to make your images grayscale, even though OneShelf says they need to be RGB, and 2) when your program compresses your file to make the smallest PDF it can, it will actually retain more "in between" information for your image (color images, especially JPGs, "squeeze" out a lot of the details of an image), meaning it will look a lot better on screen and when it prints from your desktop! Oh, and if you want that image to hold more detail, then always go with with TIFF over JPG. Now, all this being said, for any artists sending me Petty Gods art, please just keep sending me the file types you would normally send!!! I'm doing any sort of adjustments and conversions on my end, to maintain as much production quality as possible! So, if you've sent me RGB JPGs in the past, then just keep doing the same, and I'll worry about all the stuff I noted above! Coming soon... I discuss the power of the "Levels" control in Photoshop. Petty Gods Layout Update: Petty Gods through "P"
On the Expanded Petty Gods book, I've got the rough layout done for the "Petty Gods" section up through "P." There are a few copy holes here and there throughout the book (going back as far as the "C" entries), and there are plenty of art "stand in" blocks (black rectangles which hold space for illustrations to come), but as a whole it's shaping up. I'm trying to keep the layout as flexible as possible, so that I can accommodate any unexpected layout issues that crop up. The page count currently stand around 200. That includes the intro section, the "Cults & Cultists" section, and the "Divine Items" section. So, as expected, by the time the minions, spells, and appendices are added in, the page count will come in around 300. I'm still thinking it will take through December to get most of the layout done, then through January to get proofing and final art pieces in. Now that I've been able to get through more of the layout, review the entries that still need art, and know what kind of art-holes I need to fill in, I'm hoping to get a wave of art assignments out this week, with the hopes of having most of those back in by the end of Thanksgiving weekend. I'm also trying to make the end of November as the absolute drop-dead date for any copy items that are hanging out there. Content items that remain incomplete at that point will likely be dropped. Just a quick post to let everybody know it looks like I have all but 1 piece of the art accounted for the A-through-F entries for the "Petty Gods" section of the Expanded Petty Gods book. That doesn't mean the all the art is in for those entries, it just means that it is accounted for. So... a) I have the art and it's already in the layout, b) the art exists (in whole or in part) and I'm waiting on the illustrators to find/complete and send them along, or c) the art has been assigned. At this point, only 2 descriptions from A-F are missing or incomplete. I have a rough draft of one of them, and am just waiting on the finalized version. The other one is supposed to exist, the contributor is working on finding it. I've spent the good part of this week working on coordinating art needs with artist styles and availability, so layout hasn't progressed much (and I don't imagine it will until next week). But it feels great to look at the spreadsheet and only see 1 missing art-hole (I dare not call it an "A-hole") for A through F.
I've been lucky that this time of year there's always a bit of a lull in my workload (I have two big clients whose jobs I get put to bed at the middle-ish of October), which is why I reached out to Greg Gorgonmilk to offer my assistance in taking over the reins (something we had discussed briefly toward the end of this past summer). So what have I been doing over the last few weeks? 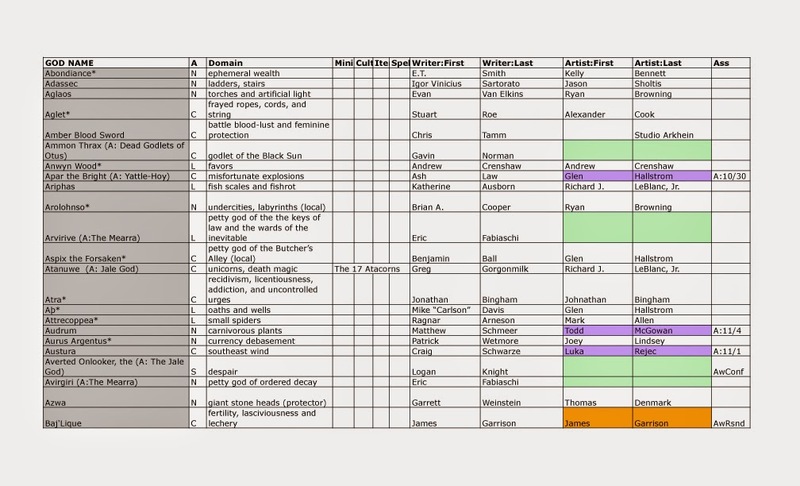 The first thing I did was create a new master spreadsheet (based off Greg's spreadsheets and expanded by the list of the gods from the Original Petty Gods PDF). As you'll see in the sample below, I broke out contributors' names (by first and last), as well as created a column for alignment and domains. Once the book layout is done, I'll be able to add page numbers for each entry, and spit out indexes for petty gods by alignment, writer, and artist (and possibly domain). The other thing this let me do was do a "matchback" to all art and content entries to see what I did/did not have, in the way of both copy and art. The OPG content came from Peter Gifford (who did the layout on the original version) and the archives that Greg had been making. 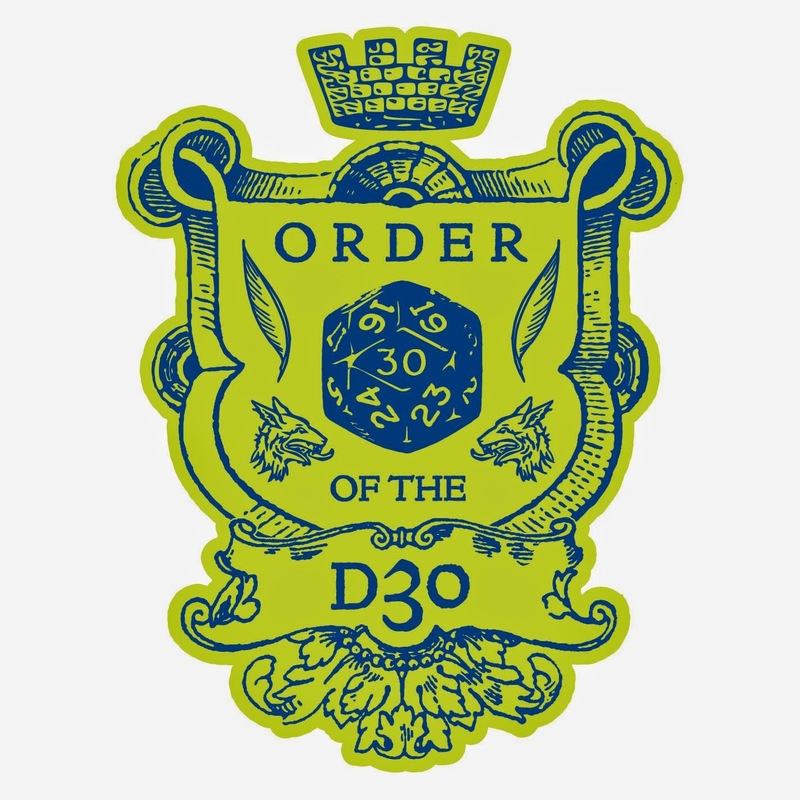 Based on the finalized spreadsheet, there will be a total of 300 petty gods in the book (including the 100 or so from the Original Petty Gods edition, but not including the minions/knights/servitors). I believe there are only a handful of these for which I'm still working on getting the source copy. There is a lot more art that needs to be done, which is where the major push will be over the next month or so. There is a separate spreadsheet for the 40+ minion/knight/servitor listings. Believe it or not, over the last couple-three weeks, I've gotten rough layout done on approximately 150 pages of what looks to be a 275-300 page tome. Originally, when I was looking to help Greg with the layout on this back as early as last October, we were going for more of a 1e/Futura-typeface-driven look, a la the AD&D Monster Manual. In looking to speed up the process on the layout of the entire book, I'm going to default to what has become the New Big Dragon "house look" for the internal pages for two reasons: 1) I'm really familiar with its nuances, which will allow me to tremendously speed up the layout process (e.g., because I can make odd typesetting decisions on the fly, based on how I've done similar things in the past), and 2) because this Expanded edition was intentionally a Lab-Lord compatible book, this Souvenir-typeface-driven look is consistent with that edition (and the editions that inspired it). and put them in a master spreadsheet by spell name (which I'll be able to export and quickly layout). Entries will include contributor's name, and the reference related entries in the book. Expect this to take about 20 pages. I believe layout will easily take the rest of November and into early December. (While I've had a lull in work which has afforded me the ability to blow through all of the above, I can't expect it to last forever). I also believe based on the number of illustrations still needed, it may take through January (or longer) to fill in all the holes. BUT! proofing can happen before all art is in. So the hope is that while art is being completed, so is the proofing/correcting. No guarantees, of course, but (fingers crossed, knock on wood, etc. ), release sometime in February? I don't think I've ever gone this long between posts. Just a note to say I'm around, working in the background on something big. I mean that literally. It will likely be 300 pages complete. You are now free to speculate, though I know a couple of you know what it is. I'm hoping to use the weekend to catch up on psionic and creature compendium input.